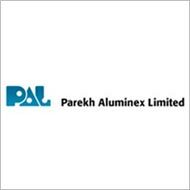 Parekh Aluminex (PAL) is mainly involved in manufacture and sale of Aluminium Foil Containers (AFCs), its covers and Aluminium Foil Rolls (AFRs). It fulfills the demand of the consumer food service biz and airline business in the country in addition to other nations. The customers list of the company comprises major airline companies including Jet Airways, Air India, Kingfisher, Indian Railways Catering and Tourism Corporation, Taj Air Caterers and many others. Its ouside customers comprise B. E. International, U. K. (Danone Group), SOP International, U. K. (Major in Food packaging industry) and major airlines such as Emirates Airlines, Singapore Airlines, Thai Airways, Gulf Air, Etihad Airways, Air Asthana, Srilankan Airlines etc. The company finished its growth plan of Rs 240 crore and has begun yet another capacity development of Rs350-400 crore that will finish by March next year and hold the potential to lift up PAL's consolidated earnings to Rs 1,500 crore in a full year's working. "Food retail turnover is expected to grow from Rs3,39,365 crore in 2009-10 to Rs7,27,212 crore by 2025, enhancing demand for aluminium packaging solutions. This is likely to translate into an increased consumption of aluminium foil containers its lids and foil rolls. The Indian fast food industry is expected to grow at a CAGR of 30-35 percent during 2010-2013, which is likely to translate into increased downstream foil packaging applications," the report added.